Walls provide the perfect opportunity for showing off the personality of a home and its owner. A statement mural on a wall can make for the ultimate conversation starter in a home, which is an ideal decor idea for people who love to host guests and want to fill their space with awe-inspiring design. The right mural can make any wall a work of art worth talking about! Each of these particular murals are suggested by MuralsWallpaper because of their intrguing visual effects and backstories, making them perfect conversation pieces. 'Flock', for example, features an illustration of a blue heron by J.J. Audubon from The Birds of America, the world's most expensive book. Opinion-dividing Brutalist architecture is depicted in the wall mural 'Welbeck' and, with an equally abstract look, 'Antelope' is a mesmerising shot of the the famous Antelope Canyon of Arizona. 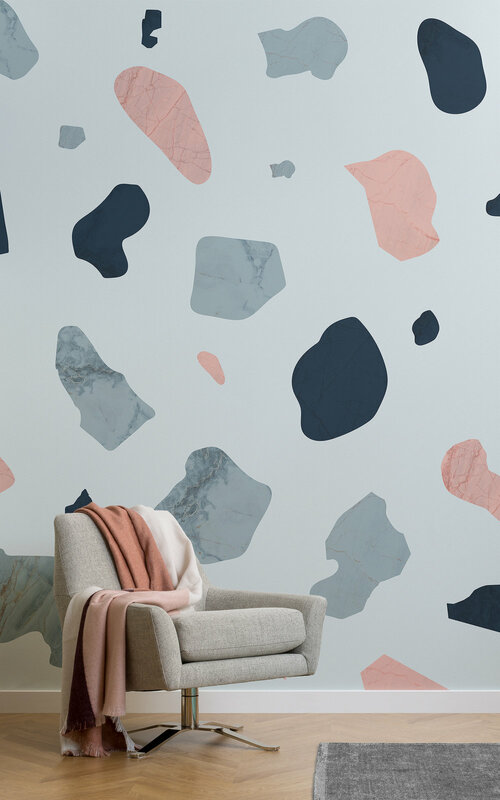 The style-conscious can be captivated by the 'Ceramic' wallpaper's playful twist on the terrazzo trend, and the calming effect of close-up crystal mural 'Quartz' is sure to enchant everyone who lays eyes on it. Spark the intrigue of friends and family with a feature wall that reflects an eye for unique interior design. Place a statement mural such as these in a socialiable space of the house for an impact that will grab a guest's interest. A home can make a lasting impression on all with a fascinating, wow-factor feature wall.